British citizen. Started as an Independent Commissioner in 2004, becoming President Commissioner in 2013 and Independent President Commissioner in 2018. He joined the Company in 2001 as Senior Advisor and CEO of Matahari Department Store. 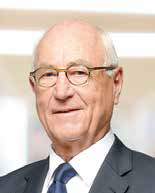 His career started as a management trainee at John Lewis Partnership Stores, UK (1965- 1970), General Manager at Booker Group Zambia (1965-1970) and Edgars Stores Ltd, South Africa (1970-1999) with his latest position as Managing Director. He is a NRDC graduate of St. Martins College, London, UK. Currently, he also serves as the Company's Advisor to Audit Committee, as well as Independent President Commissioner and Chairman of Audit Committee of PT Matahari Department Store Tbk. Indonesian citizen. Joined the Company in 2007. 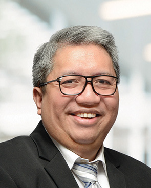 He has held professional career as Sales & Marketing Manager at several property companies such as Era Indonesia Corp, PT Megapolitan Group and PT Bukit Sentul Tbk; Advertising Agency PT Rainbow Cipta Utama as Senior Account Director as well as Partner at ICash Global Rewards & Loyalty, Sdn (Bhd), Kuala Lumpur, Malaysia. In 2007, his career at Lippo Group as Vice President of Corporate Communications at the Company. Within 2012 - 2015, he was Vice President of Malls at PT Nadya Putra Investama and Associate Director of Corporate Communications & Government Affairs at PT Multipolar Tbk (2015-2017). Since 2015, he is the Chairman of APRINDO (Indonesian Modern Retailer Association) and Vice Chairman of Public Policy & Small Medium Enterprise of KADIN (Chamber of Commerce and Industry in Indonesia). He holds a degree in Management from Universitas Jayabaya. Currently, he also serves as an Independent Vice President Commissioner and Chairman of Nomination and Remuneration Committee of PT Matahari Department Store Tbk and PT Multipolar Tbk. American citizen. Became an Independent Commissioner in 2013. In 2009, he was appointed as CEO-Retail Group at the Company. 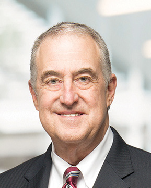 His professional career began in 1973 with JC Penney and Saks, moved to McRae's in 1998 as CEO. In 2001-2006 he was an independent business consultant prior to join Matahari Department Store as CEO in 2006. He is a graduate from Troy State University, Alabama, USA. Currently, he also serves as Chairman of Audit Committee and Nomination & Remuneration Committee of the Company, as well as Commissioner, Advisor to Audit Committee and member of Nomination and Remuneration Committee of PT Matahari Department Store Tbk. Singaporean citizen. Became an Independent Commissioner in 2013. 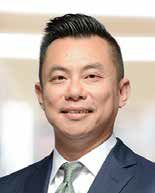 Currently he also serves as Managing Director Southeast Asia as well as concurrently Managing Director Mergers and Acquisitions at Temasek International Pte Ltd. 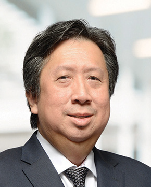 He has held various senior roles during his career in Temasek since joining in 1997, including Managing Director Investments (Financial Institutions Group) and Managing Director Legal & Regulations. 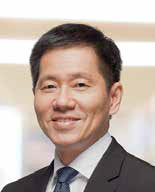 Prior to joining Temasek, he was in private legal practice since joining to the Singapore Bar as an Advocate and Solicitor of the Supreme Court of the Republic of Singapore in 1993. 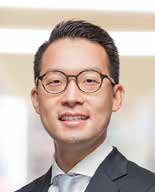 He graduated from the National University of Singapore with a Bachelor of Laws (Honours) degree and holds a Master of Laws (Banking and International Finance) degree from King's College, University of London. He has also attended the Advanced Management Program at Harvard Business School, USA. American citizen. Joined as Independent Commissioner in 2015. He also serves on the Board of Directors in more than 100 companies that are part of First Trust Advisors, LP; Crossway Books and Maclellan Foundation. In 1984, he held several important positions in the Chicago Research and Trading Group, Nations Bank and The ServiceMaster Company. He served as the 5th rector at Covenant College, Georgia, USA (2002-2012) and established Dew Learning LLC. His Doctorate Degree in Philosophy was obtained from Vanderbilt University, Tennessee, USA. Currently, he also serves as Commissioner of PT Matahari Department Store Tbk and PT Siloam International Hospitals Tbk. Indonesian citizen. Joined as an Independent Commissioner in 2018. He has more than 20 years in experience and leadership at various industries related to consumers: FMCG (Procter & Gamble in 1994), Content Media (Warner in 1999 and Sony Music until 2005), and Media (MNC Group and RCTI during 2008-2011). Within 2012-2015, he was the Country Director of Google Indonesia. He is the Founder and Managing Partner of Venturra Capital, and actively involved at several important positions at OVO (fintech), Ruangguru (edutech), Sociolla and others. He has a Chemical Engineering degree from University of California, Berkeley, USA. Currently, he also serves as Independent Commissioner of PT Matahari Department Store Tbk. Hong Kong citizen. Joined as an Independent Commissioner in 2018. She has a broad professional career with latest position as Non-Executive Director at Barry Callebaut. 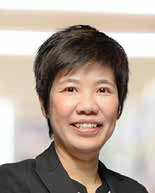 She started her career at Swire Group in 1990, later joined Nestle Dairy Farm in 1992 with several key positions related to sales in Hong Kong and Shenzen, China. She also joined Effem Foods (Mars) where she held several leadership positions in sales and management for Hong Kong and South China areas. Prior to joining Tesco in 2007, she was Managing Director of Adidas for South East Asia region. Her career in Tesco was Chief Marketing Officer, President and Chief Operating Officer for Tesco China during the period of 2012-2013. She later joined Enzo in 2013 as CEO and Board of Directors for China region. She graduated with Bachelor of Social Sciences degree from University of Hong Kong in 1990. Indonesian citizen. 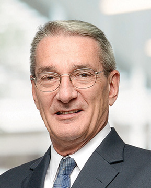 Joined as Commissioner in 2015.John Riady is an Indonesian lawyer, professor, and businessman. He is a Professor of Law at Universitas Pelita Harapan (UPH) Faculty of Law, one of Indonesia's leading universities; Editor at Large of the Jakarta Globe since 2005 and Director of the Lippo Group. He was educated at Georgetown University, USA where he majored in Political Philosophy and Economics (2006). He received his MBA from the Wharton School of Business, USA, graduating as a Palmer Scholar (2008) and a Juris Doctor from Columbia University Law School, USA (2011). He is also a member of the NY Bar Association and serves on The World Economic Forum Council on Southeast Asia. Currently, he also serves as Commissioner of PT Matahari Department Store Tbk and President Commissioner of PT Siloam International Hospitals Tbk. Indonesian citizen. Joined as Commissioner in 2018. He has a Chemical Engineering degree from Institut Teknologi Bandung and MBA degree from Oregon State University, USA. Prior to joining the Company, he has extensive experience in several global banks with last position as Chief Financial Officer & Treasurer from Global Consumer Group of Citibank NA, Indonesia. Currently, he assumes positions as Director of PT Matahari Department Store Tbk, Commissioner of PT Multipolar Tbk, Director of PT Link Net Tbk, Commissioner of PT First Media Television, Commissioner of PT Ciptadana Investa Prima and Director of PT Ciptadana Capital.